A quarter-century after being driven to extinction from overhunting and pollution in their fragile habitat, a Eurasian otter has once again been spotted in Switzerland -- a heartening sign that efforts to clean up the nation's waterways have ultimately paved the way for their return. Up until the practice was outlawed in the 1950s, otters were commonly trapped for their thick, insulating pelts. But even after protections were put in place, they continued to decline as pesticide runoff killed many of the prey animals that were staples to their diet. By the 1980s, the species was wiped out entirely. But now they're back, or at least one is, anyway. The new arrival is thought to have crossed into Switzerland from France this Spring, though he's apparently finding things a bit more hospitable than they had been for his predecessors. Nowadays, there are many more fish to dine on -- more than enough to go around. 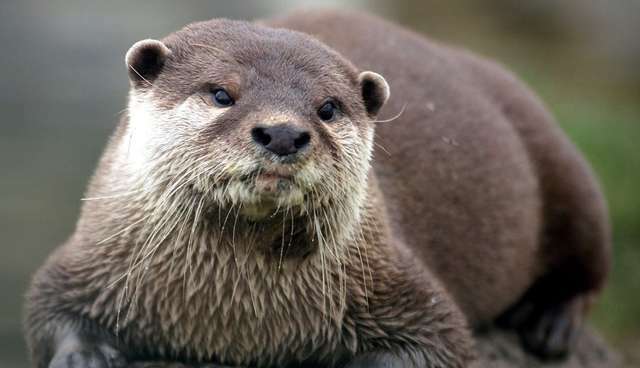 "The presence of an otter in the river where fish are not threatened does not pose a problem for fishers," says Christophe Ebener, of the Geneva fishing commission. "On the contrary, this animal of a strong symbolic nature draws attention to the importance of protecting water courses and their fish." Environment Minister Luc Barthassat called the otter a "living symbol of a river in good health and a mascot for fishing", adding that more are welcome to come and join him. Here are seven other species that were once "extinct" but have made remarkable comebacks.